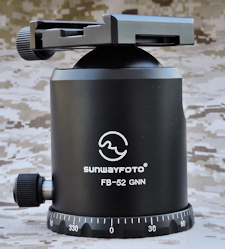 The Sunwayfoto GNN FB-52 is the strongest model of the FB series ball heads. It exemplifies the customary principle of simplicity, very easy-to-carry, easy-to-operate and provides customers with stable and smooth using experience. This ball head is exquisitely machined from T6061 aerospace grade aluminum alloy, with Type-III hard-anodized finish. Compared with other models of the same series, the GNN FB-52 has the highest load rating and largest ball joint diameter for extended service life. 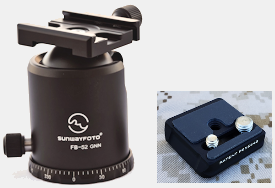 Shadow Tech redesigned the Sunwayfoto FB-52 thus creating the GNN Series. The GNN FB-52 is lowered by machining off the neck of the ball head. 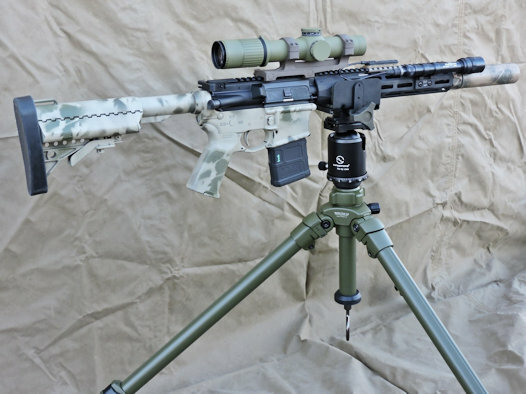 This reduces damaging stress/leverage to internal parts, increases stability due to lower center of gravity, and still allows for 22 degrees of elevation adjustment and approximately 46 degrees of vertical travel total. Bottom Thread Hole Depth: 12mm. Maximum Load Capacity: 20.00 kg / 44.00 lb. Weight: 673g / 1.48 lb.